Carefully balanced to complement each other, calcium and magnesium are combined in the True Food Calcium and Magnesium supplement to support your overall health. These two minerals work in synergy to maintain normal bones and teeth, restore energy levels and support a normal metabolism. 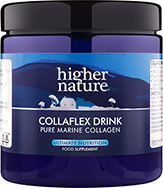 The ingredients in this potent formula have been sourced from highly-bioavailable food forms, such as sea calcium seaweed complex, for easy absorption and maximum efficacy. Take 2-6 tablets a day, with or between meals. Really pleased with this product, I note that some other reviews have mentioned the smell, maybe it's just me but I really like the smell and taste and have not had any problem taking them. I had problems with the size of the tablets. I find them much easier to swallow if I put them in a little water for a few minutes. They don't dissolve but seem to slip down more easily. I had some left from a previous supplier and when I did the same, they dissolved completely into a horrible chalky mess. Just shows the difference in quality. These tablets relieved the muscle spasms in my legs almost immediately and meant a better nights sleep. Subsequently I have been diagnosed with osteoporosis and have to take the maximum dose which is a bit unnerving because I don't like the feeling of taking loads of tablets and always wonder about the effects on kidneys etc. I don't mind the smell or taste and the size isn't usually a problem...the technique is to press the tip of your tongue against the roof of your mouth. The calcium prescribed by the doctor came with a warning not to take within two hours of eating whole grains or pulses which contain phytates that combine with the calcium and prevent its absorption. 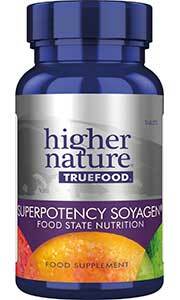 Does higher nature have any take or advice on this? I give four stars only because I want to wait and see if my next dexa scan shows any improvement! After suffering through the first 30 tablets, I decided that I just couldn't do it anymore. Not only do these smell absolutely awful (and a friend who has a relatively high tolerance for terrible smells was even shocked by the rancid sent) but one tablet has less than 20% of your RDA!! That means you'd have to actually take 5 PILLS to get you daily dose... If they tasted like chocolate, no problem, but they taste like something died in the bottle... :( We are HUGE fans of Higher Nature and nearly all our supplements are HN, but this Calcium/Magnesium was quite the let-down. Oh, and in case you don't read the ingredients, they have four bulking agents and *vanilla flavoring* which I cannot believe as the smell is nauseating! Anyhow, buyer beware. We were so disappointed with this and have discarded the rest of the bottle as we could find no takers! Yes, they are a little big, and if you try to swallow them whole, they can make you gag. However, there's a simple solution...... just chew on them until they are broken up in your mouth, then swallow! Or, break them up using a knife, before taking them. After I cut milk products from my diet I started having cramps in my legs at night. 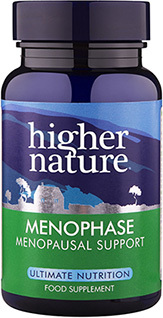 My daughter suggested magnesium and these pills did the trick! No more cramps. They also replace some of the calcium I was getting from milk products. I don't find them too big but they could be cut in half if necessary. Since I have been taking these tablets, my high blood pressure has come down to normal and my weekly (sometimes 2-3 times a week) migraines have diminished to 4 times so far this year - it has helped change my health and my lifestyle - these really are very very effective, thank you! I will have to stop taking these tablets, good as they are, because they are so big they make me gag and retch. The benefits of this product are made clear in your reviews, but the size of the tablet must put lots of people off. It really is too big!